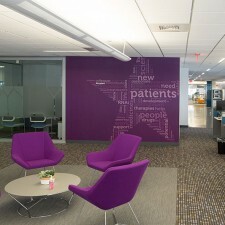 Alnylam Pharmaceuticals / 101 Main Street - Hereva Consultants Inc. 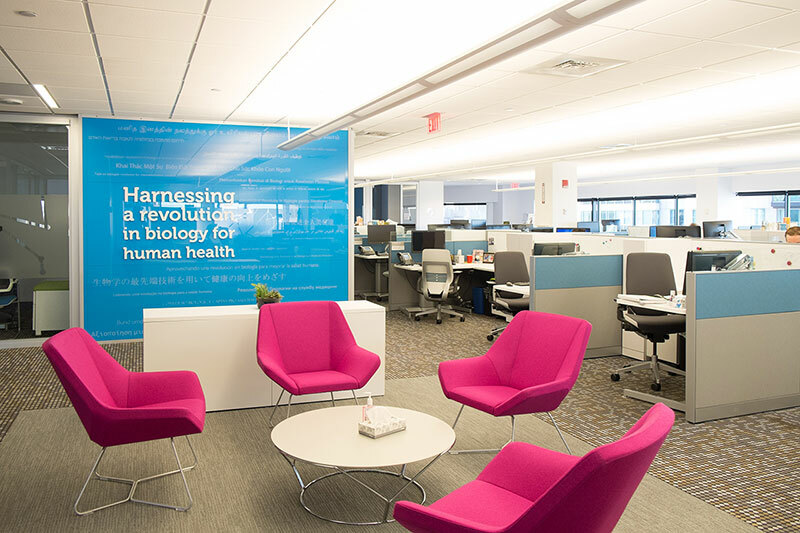 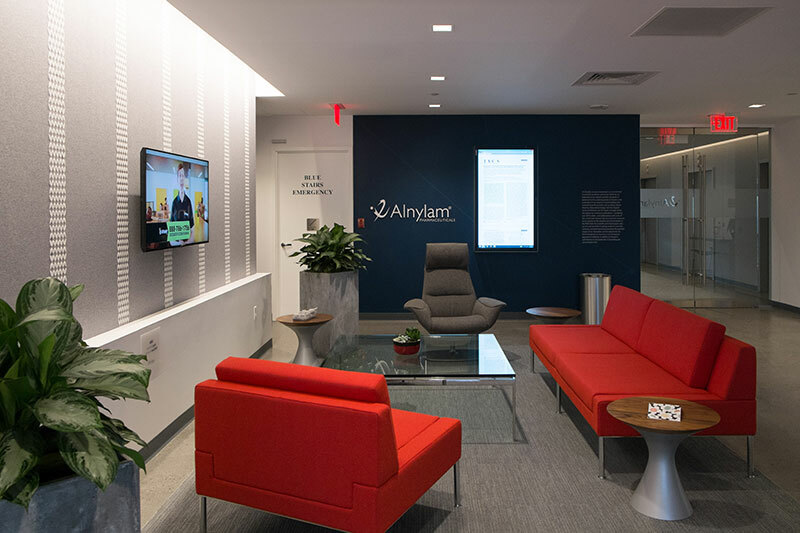 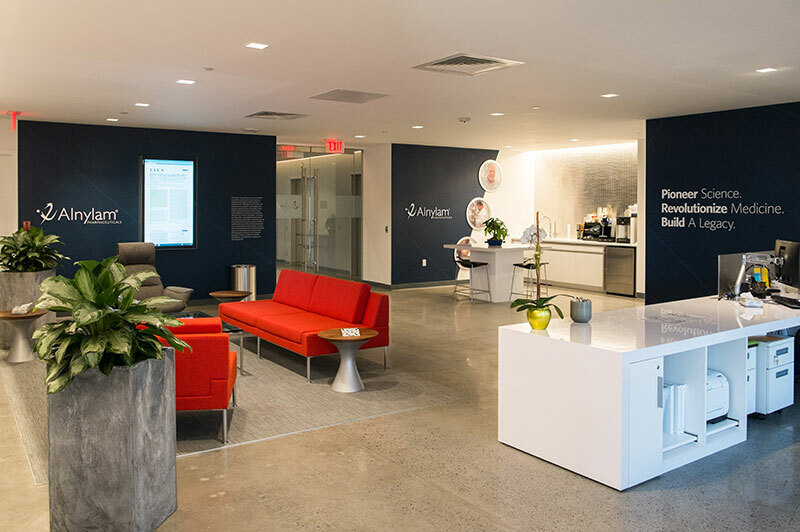 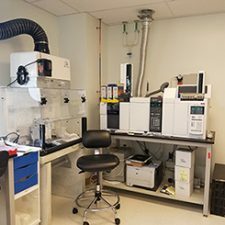 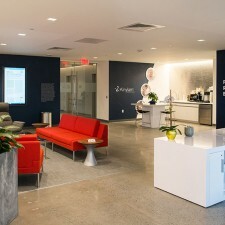 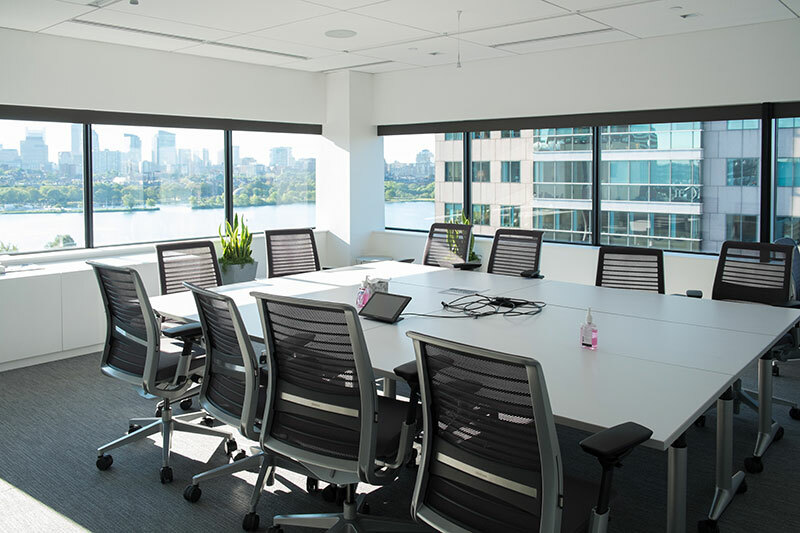 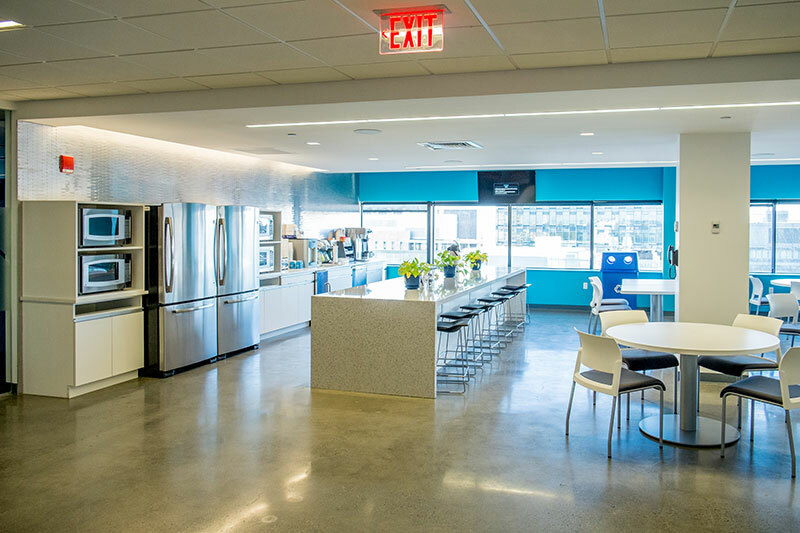 Starting in June 2015 Alnylam embarked on a bold plan to renovate 78,000 sf of space at 101 Main Street, Cambridge, MA as part of their “Alnylam 2020” plan. 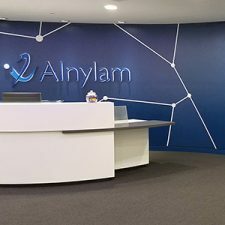 Alnylam selected Hereva to procure the design and construction teams and to manage the buildout of this facility in two phases. 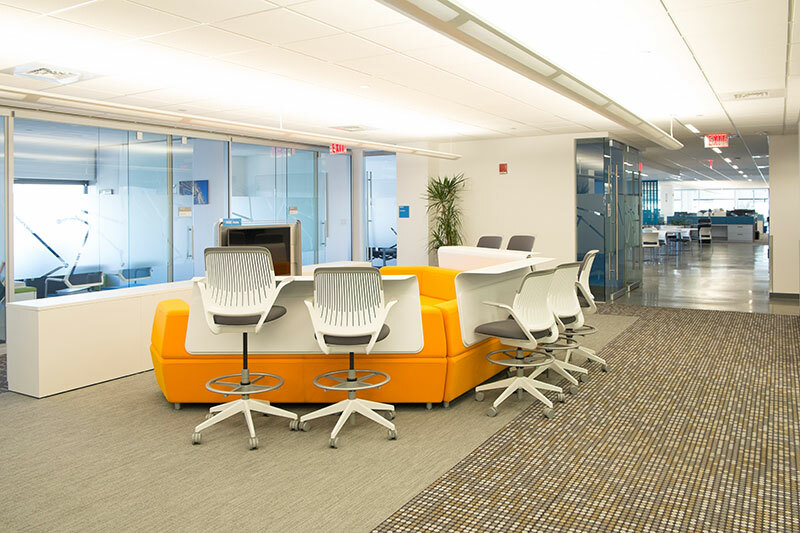 This interior office renovation utilized modern workplace ideas, trends and branding. 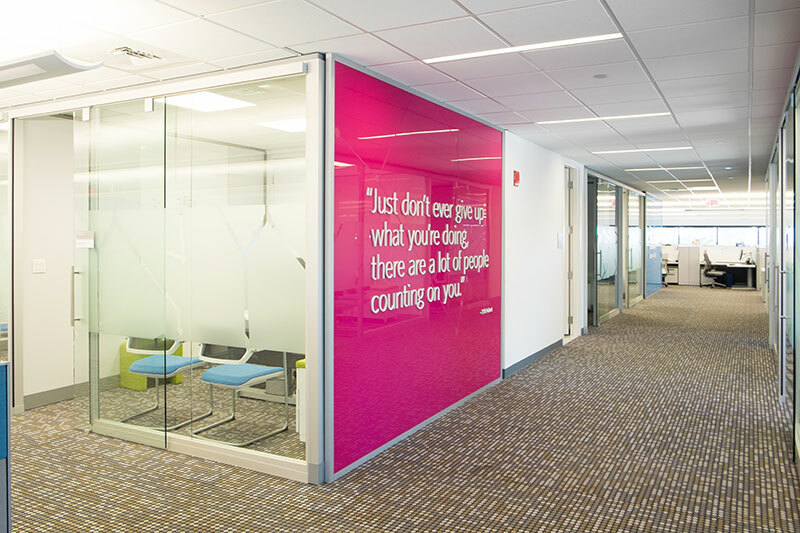 Harnessing natural light with the use of glass partitioning throughout, the space provides an inspiring and collaborative environment for the Alnylam team and became the standard for workspace design for all Alnylam facilities. 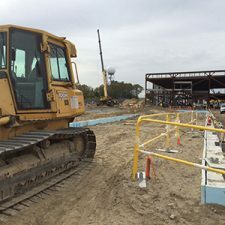 With a mandate to create Phase 1 of this real estate expansion by June 2015 in order to accommodate their business growth needs – the Alnylam Facilities and Operations team diligently orchestrated an aggressive 8-week fast track strategy to deliver on this goal. 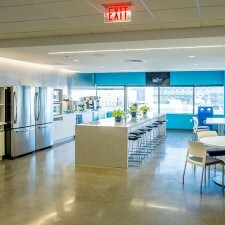 Phase 2 included the buildout of the remaining floors. 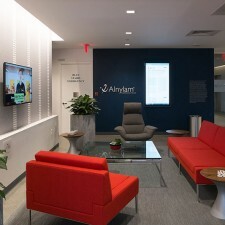 Alnylam was founded in 2002 on a revolutionary vision and bold mission which remain firmly in place today. 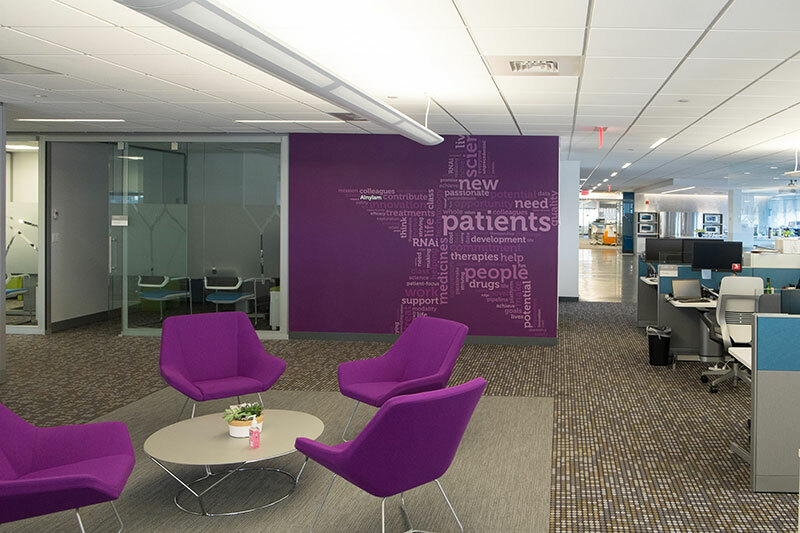 Alnylam is leading the translation of RNAi as a new class of innovative medicines, with a core focus on RNAi therapeutics toward genetically defined targets for the treatment of serious, life threatening diseases with limited treatment options for patients and their caregivers.